Ed Tredway made a big switch in 1991, but it was a switch he hoped wouldn't be permanent. Tredway made the switch from baseball and the minor leagues to fastpitch softball, according to The Orlando Sentinel. ''I hurt my shoulder and decided to take this summer off from baseball for a little personal rehabilitation,'' Tredway told The Sentinel. For Tredway, though, it did end up being permanent. Or, at least, he never got back to to the minors. He he ended up playing a a pro for just two seasons, never making it higher than single-A. Tredway's career began in 1989, taken by the Athletics in the 32nd round of the draft out of Flagler College in Florida. He also attended Jacksonville State University. At Flagler, Tredway posted 84 hits in 1989, still second all-time at the school. He also had 50 RBI that year. Earlier, at Jacksonville State, Tredway hit a three-run home run in a March 1987 game. 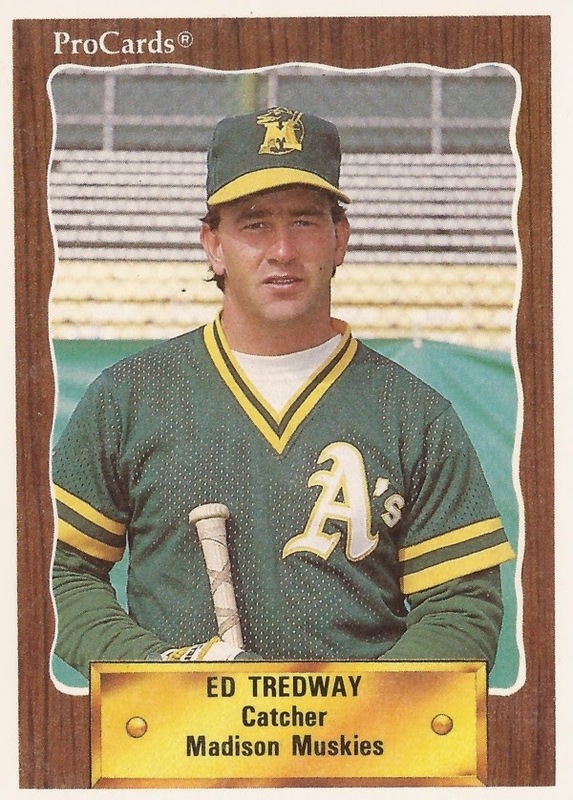 With the Athletics, Tredway started in 1989 in the rookie Arizona League. He hit .292 over 48 games. He knocked in 29 runs. Tredway played 1990 between single-A Madison and short-season Southern Oregon. He went two for four, scoring a run in an August 1990 game. Between them, he hit .227 in a total of 64 games. It wsa his final season as a pro.